USA wine shipments has been reactivated! Special Italian Food as a gift for special events. 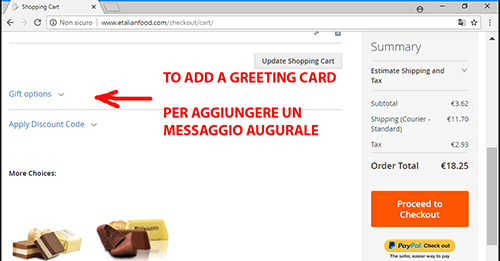 You can add gift message in order: The gift message form is displayed in the Cart: Gift Message (optional).